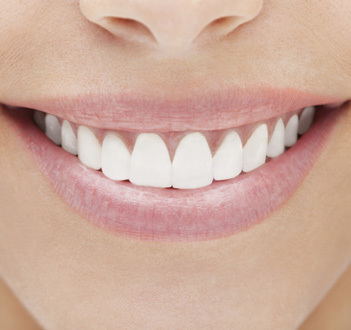 Is whitening dangerous for our teeth? Can it hurt our gums? In this Weekly Webisode, I break down different methods of whitening products and how they work. As you may know, Dr. Sanda Moldovan is an advocate of oral health. She is an award-winning dentist, periodontist, and nutritionist. 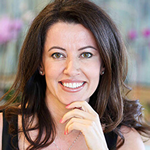 She is known for her exceptional skills in restorative treatments, and her invaluable guidance in helping patients achieve optimal overall health and nutrition. However, just because she is passionate about health doesn’t mean that she underestimates the importance of having a beautiful smile. In fact, cosmetic dentistry can play an important role in overall wellness and quality of life for a couple of reasons. It has been found that smile enhancement actually improves most patients’ hygiene habits. After correcting problems that have plagued them for years and experiencing the feeling of smiling proudly, people tend to value their smiles much more highly. Therefore, they often become far more diligent in caring for their teeth. Additionally, the confidence, self-esteem, and improved self-image can greatly improve a person’s quality of life. These things are important to emotional and psychological health. Cosmetic dentistry is defined as including any procedure that improves the appearance of your smile. By that general definition, most dental procedures are cosmetic. Cavities, fractures, misalignment, missing teeth, and even gum disease take a toll on smile esthetics. Sometimes, there is no further improvement needed. However, there are also a number of procedures designed primarily or exclusively for cosmetic improvement. These may include porcelain veneers, teeth whitening, and bonding. Dr. Sanda is committed to providing an exceptional level of care, and she has many specialized skills. She also works with a group of exceptionally skilled dentists, many of whom have training or expertise in a wide variety of dental specialties. In keeping with her dedication to excellence, she refers certain treatments to one of her associates, so that her patients can always receive an expert level of care. However, you can still enjoy the convenience of complete care in one location, as our network of associates shares a complex. You may be referred to a dentist across the hall, not across town. We are here to help you with all of your dental concerns. Just call our Los Angeles practice at (310) 651-6588.